Sarah Ichioka leads Desire Lines, a strategic consultancy for environmental, cultural and social-impact organizations and initiatives. Her diverse portfolio includes leadership, planning and curatorial roles for prominent institutions of culture, urban policy and research, including the LSE Cities Programme, La Biennale di Venezia, Tate Modern, New York City's Department of Housing and Singapore's National Parks Board. Ichioka has been honored as one of the Global Public Interest Design 100, and is currently a World Cities Summit Young Leader. 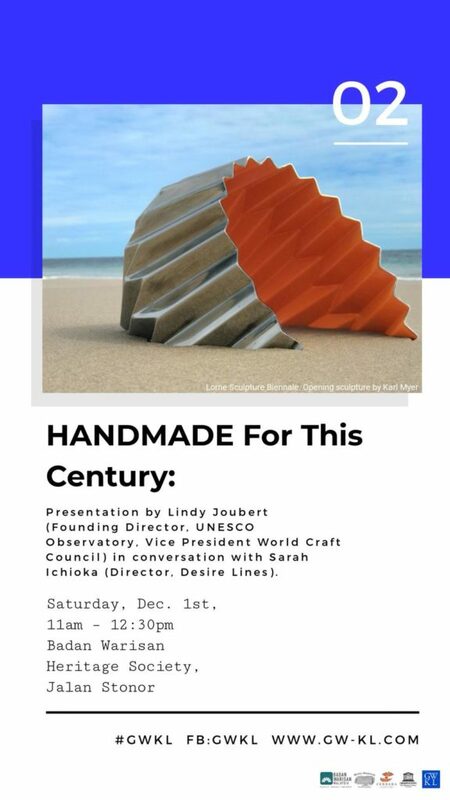 Founding Director, UNESCO Observatory on MultiDisciplinary Research in the Arts and the Vice President of the World Craft Council, Asia Pacific Region, South Pacific. President of the Lorne Sculpture Biennale 2017-2018, one of the largest public sculpture events in Australia. An academic in the Faculty of Architecture at the University of Melbourne, her combined interests have resulted in facilitating research, information-gathering and knowledge-sharing in the field of the arts and crafts for the benefit of community strengthening across many countries. Christie's International Head for South Asian Modern & Contemporary Art. 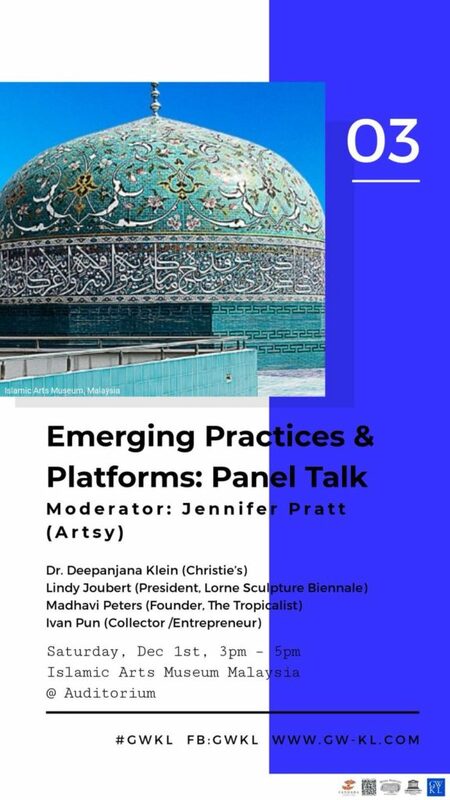 .While Dr. Klein’s expertise is firmly rooted in South Asian art of centuries past, this scholar is most enthralled by the art of the 20th century. She played a central role in acquiring the business of the estate of Francis Newton Souza, one of the most important historical sales in the category, and regularly writes for various journals on the topic of contemporary Indian art. 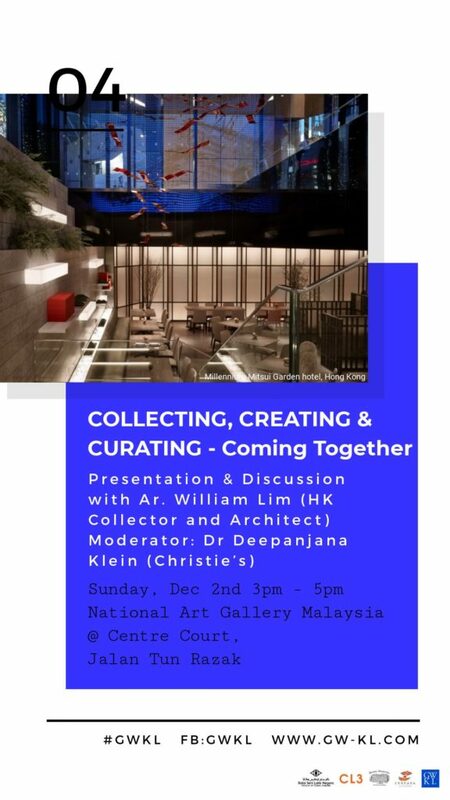 William Lim is an award-winning architect who is responsible for the highly successful design of H Queen’s, the first vertical art gallery building in Hong Kong. Lim is also an ardent collector of Hong Kong art and has been described as “arguably the world’s foremost collector of Hong Kong contemporary art”. In 2014, he authored a book entitled The No Colors: Living Collection in Hong Kong, which documents his comprehensive collection of works by more than 50 contemporary local artists and provides an insight into the contemporary art scene of Hong Kong. Madhavi is the founder of The Tropicalist, an online publication that is full of thought provoking articles on culture. She founded The Tropicalist in 2015 in Singapore and continues with the publication today, despite now being located in Toronto Canada. She currently holds a position as Docent and Researcher at the Aga Khan Museum of Islamic Arts. Madhavi is the founder of The Tropicalist, an online publication that is full of thought provoking articles on culture. She founded The Tropicalist in 2015 in Singapore and continues with the publication today, despite now being located in Toronto Canada. She currently holds a position as Docent and Researcher at the Aga Khan Museum of Islamic Arts..
Director Strategy Asia Pacific, Artsy. Pratt leads strategy in the Asia Pacific region at Artsy, the leading global platform for discovering and collecting art. Merging global experience with regional expertise, she heads Artsy’s efforts in their China market entry strategy in addition to establishing growth strategies specific to each of Artsy’s businesses across the Asia-Pacific. Pratt moved to Asia to join the team at ArtHK in building Hong Kong’s first homegrown modern and Contemporary art fair - soon relaunched as Art Basel HK. Pratt led the Marketing and Communications team in Hong Kong through the transition. 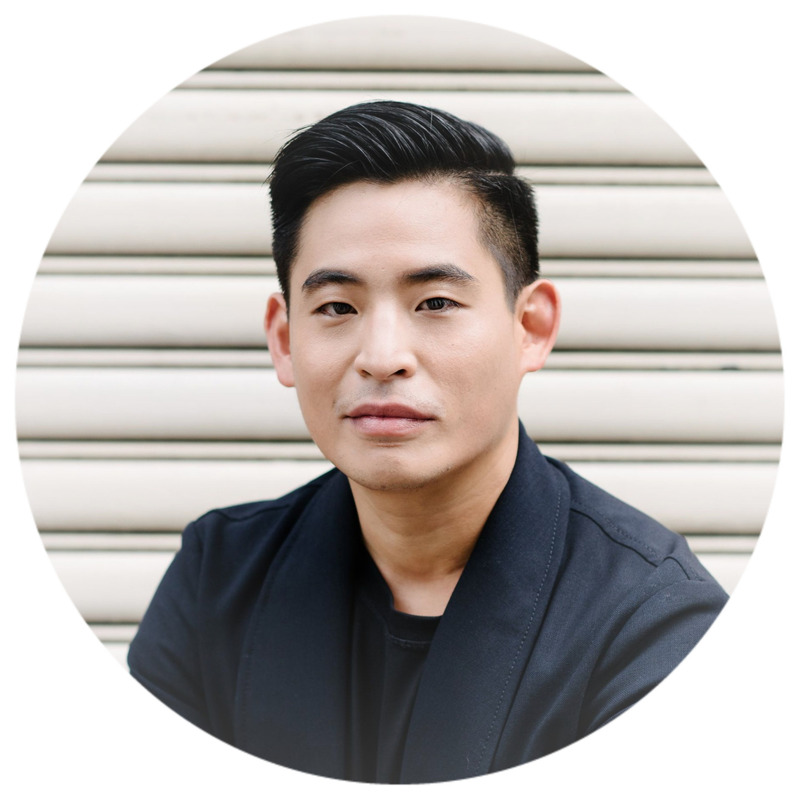 Burmese Entrepreneur & Collector, based in Hong Kong and Yangon. 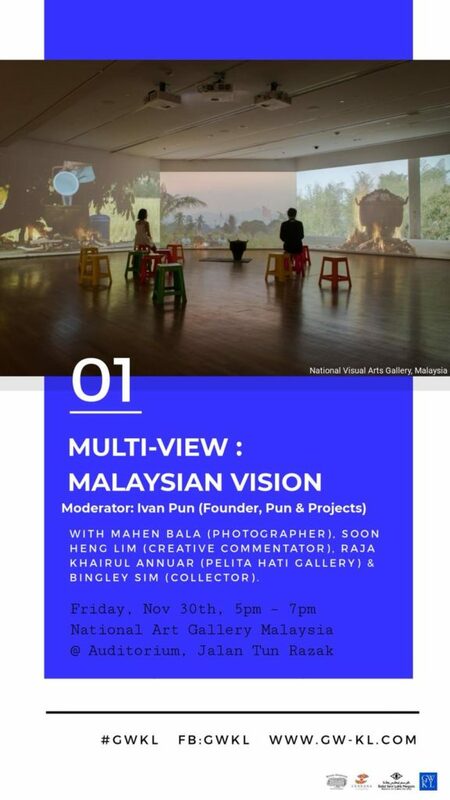 Ivan moved to the former capital, Yangon, in 2011 and established Pun + Projects in 2014 spearheading a number of projects including the art space TS.1, hip eateries such as contemporary Burmese beer hall Port Autonomy, Southeast Asian bistro Rau Ram and furniture manufacturer Paribawga.